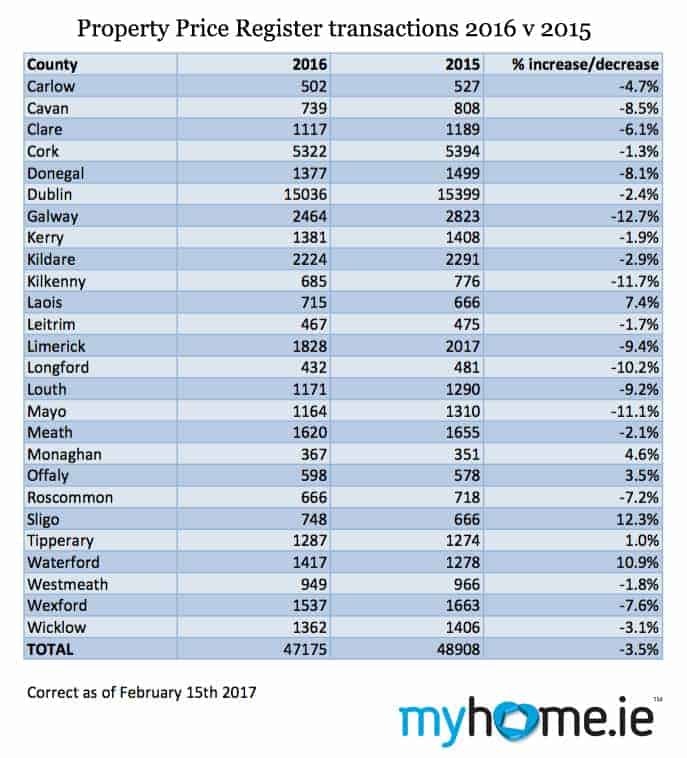 MyHome.ie has conducted a study of the Property Price Register to give an indication of the number of transactions across the country last year and their value. Their findings showed that overall transactions levels were down 3.5% from 2015 but interestingly the value of those transactions actually increased by 7.4% to over €11.5 billion. To find out the value of transactions in your area and find out more about the story check out the information here.